Dr. Myer is really great. He explains everything in detail that you need to know. Very wonderful doctor. Highly recommend him to all my friends and family. Dr. Myer is always on time with appointments. He also spends adequate time explaining the diagnosis and plan to heal. Dr Myer is a superb medical professional with great people skills to boot! On time. Friendly staff. Dr Miller is great. I am a repeat patient even after 4 years. Love the place!!! I had felt written off by another Orthopedic MD. 15 minutes, 2 X-rays and a script for a leg brace that made things worse. After 3 months of extreme pain due to a bad ankle and poor alignment I found Dr. Myer. I had pretty much lost hope in getting relief or finding a physician who would listen and look at the whole person and their quality of life. From the minute he walked in I felt heard, He took the time to do a full assessment of my ankle, explained the results of the X-rays and came up with a solid plan to move forward. That plan involves options other than surgery, investment in patients progress. I left felling a sense of hope and with an understanding of the dynamics surrounding the integrity of my ankle. Very professional and a good bedside manner. Felt totally at ease. Great care. Had been to the office several years ago in an emergency situation and got quick, immediate treatment. My most recent visit was w/ Dr Myer and again, it was a situation where I needed help right away. My appt was easy to make online, I got to hug Sandy who is the Office Manager and a doll , and Dr Meyer went to work to try to isolate a nerve prob on short notice. He was very professional and very caring. Great experience! Have follow up appt booked. Great experience! Needed help quickly because of upcoming trip. Dr Myer responded quickly, explained options throughly, and went to work. Have follow up appt already scheduled. Very grateful. Couldn't have asked for better attention from Dr. Myer. He explained everything so I could understand and gave me guidelines to use for healing. Also, not used to a doctor appointment being on time. A nice surprise. Dr. Miller did a great job making sure I was comfortable and well taken care of! Dr. Myer was very engaging and listened to my concerns and issues. He explained my problem and corrective actions to resolve my issues. I will definitely recommend to my family and friends. 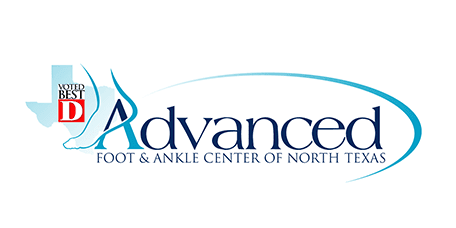 My visit was a wonderful experience, the Dr and staff made you feel at eased and the Dr listen to the problem that I'm having and the need to fix the issues with my foot. I enjoyed my visit and a Dr who wants to help. Dr. Miller is an excellent doctor. Very kind and concerned about my pain. I would recommend him to anyone needing foot care. I appreciate the honesty and responsiveness to every question and addressed all my concerns. Would recommend to all family and friends in need. Dr Miller is the best!